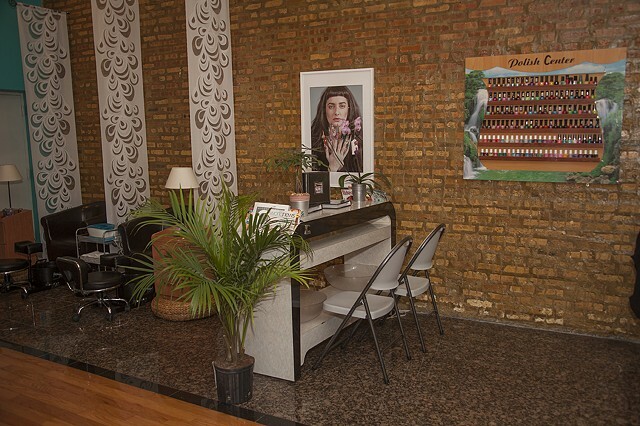 #Nailbait is an installation of new photographs and original nail -themed wallpaper designed specifically for the Nailicious salon. 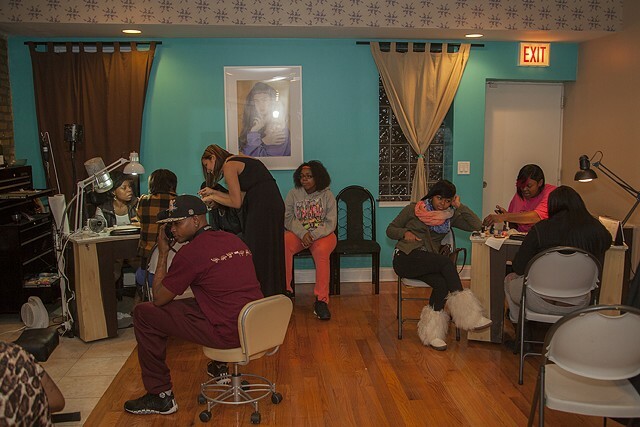 In this project, Cooper expands her already existing collaboration with Glynnus Alexander and Yada Fernandez Ruiz (formally of Naughty Nailz and now co-owners of Nailicious). 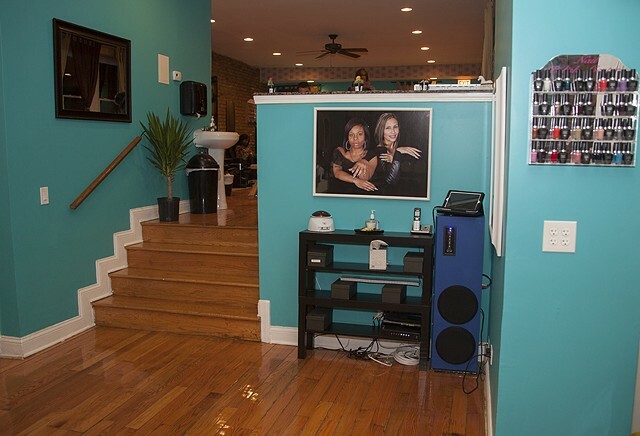 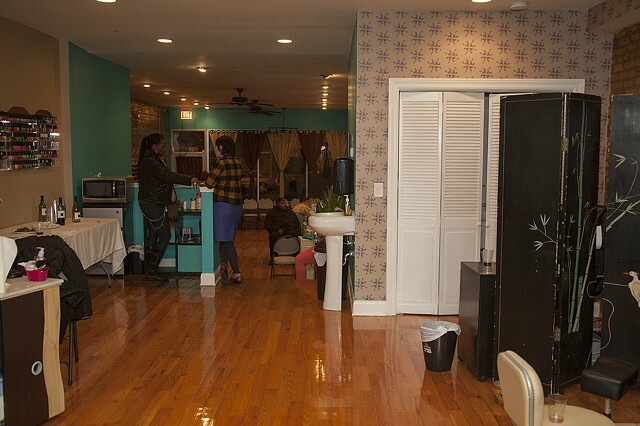 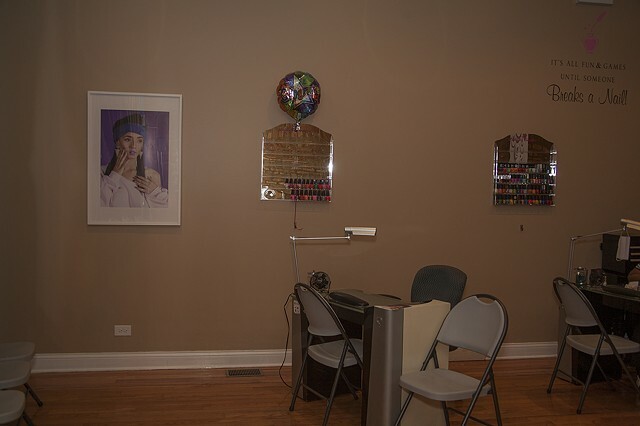 Over the past few years, the three have worked together on fine art, commercial and preformative public projects, focusing on the specific flavor of fashion in the Chicago nail community. 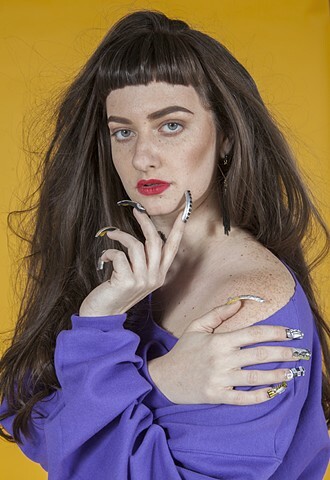 #Nailbait, serves as an inside joke to those in the beauty industry, this new series of photographic works are influenced by the styling of Patrick Nagel’s salon appropriated lithographs from the 1980s and 1990s, using the reference of the salon to generate new art for a salon. 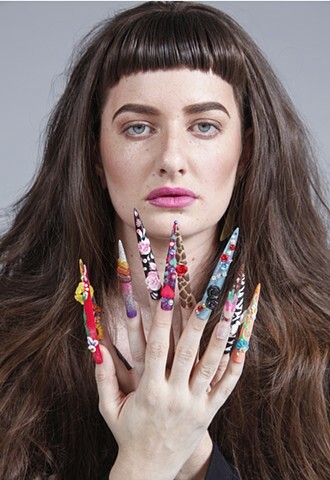 The nail sets displayed in the images were designed specifically for the photographs in the exhibition, fusing freestyle brushwork, 3D acrylic sculpture and current nail shapes like stilettos and horse shoe. 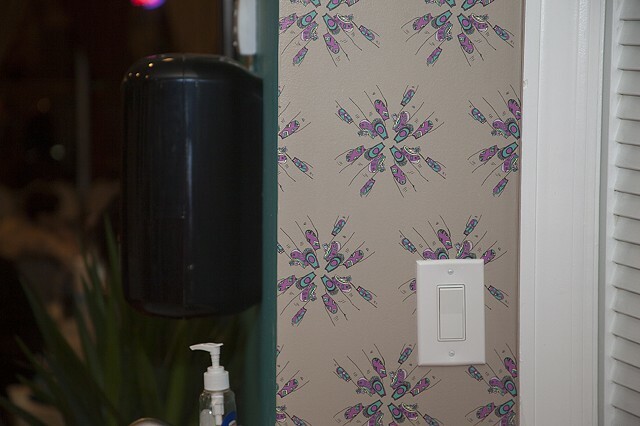 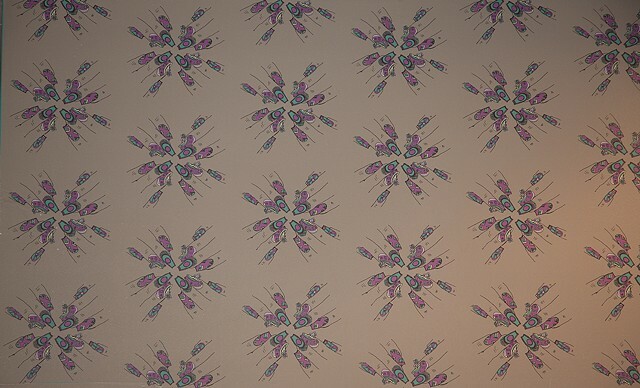 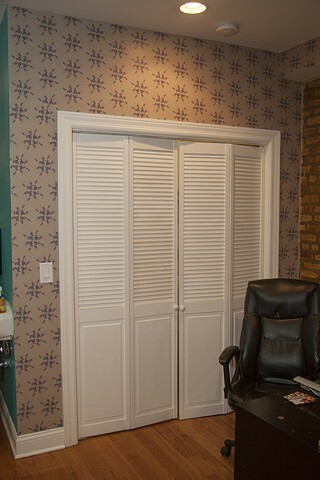 Cooper has also used these new nail photographs as source material that morph into decorative variations of floral and kaleidoscope wallpaper permanently installed in the salon.